A few weeks ago I had to call my internet service provider for help with my modem. 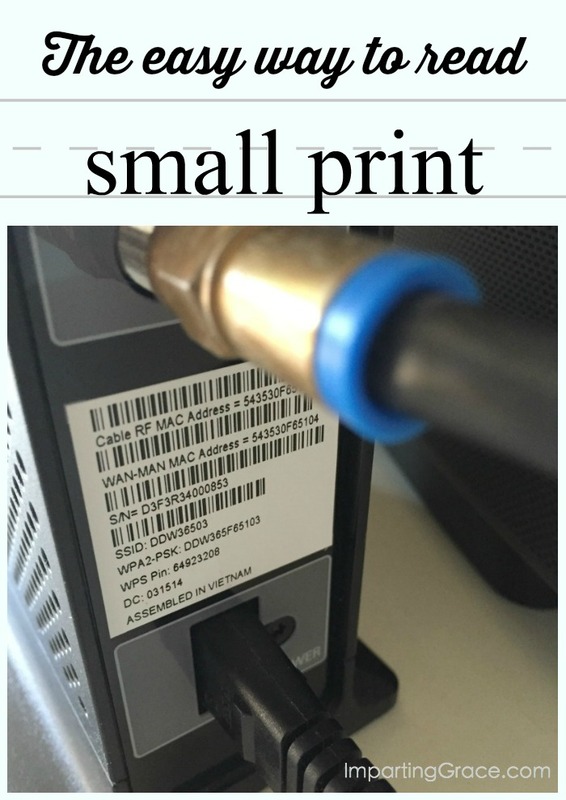 I was able to answer all the technician's questions until he asked for my modem's serial number. The technician was so helpful. 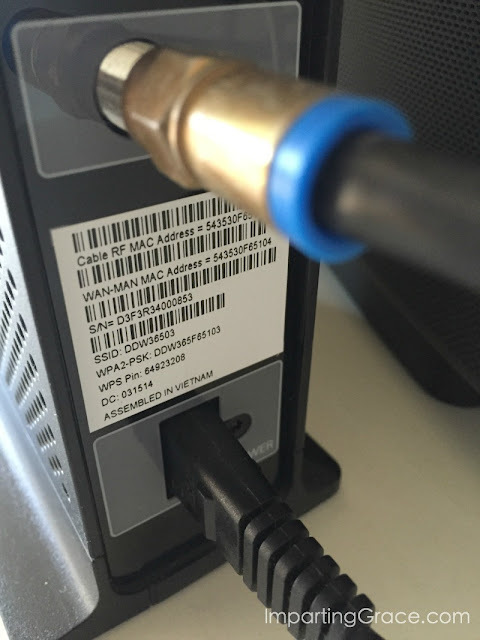 "You can find the serial number on a sticker on the back of the modem," he explained. Wonderful. Except that sticker was about 1"x1". Even with my strongest reading glasses, I was unable to make out the number. Then it occurred to me that I could use my phone to take a picture of the sticker. I was able to easily zoom in on the sticker and read the serial number from the photo. I applied the same trick to the label on my refrigerator. It wasn't hard to read; it was just in an awkward spot. Instead of craning my neck to read the sticker, I simply stuck my phone in the fridge and snapped a photo. All the information I need, right in the palm of my hand! 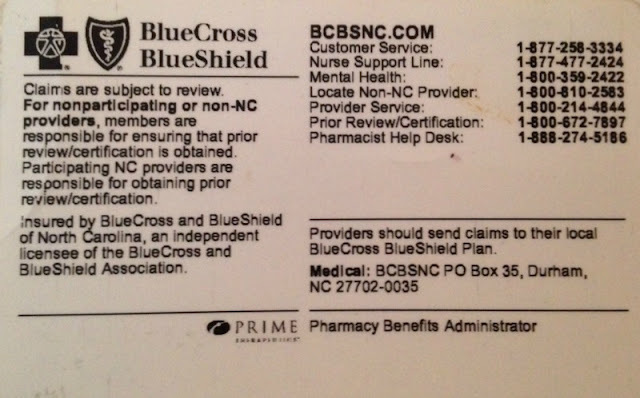 You could use the same zoom-in trick to help you decipher the tiny print on medicine labels, credit cards, insurance cards, etc. Got something that's hard to read? Take a photo and zoom in! Have you discovered any simple tricks lately? what a clever idea!! I will have to remember that. You. Are. Brilliant!!! So glad to have this trick on the ready!! Great tip- and one I'll definitely use! I don't know why this has never occurred to me but I'm so glad you posted this! I think I'll be using this trick on a lot of occasions, and I will think of you whenever I do! I also received a blessing from your previous post. I've been sitting here thinking about what direction I'd like to take my blog, and you expressed my feelings so beautifully! I've done this! Last weekend the husband and I were trying to read serial numbers on the modem. Seriously, who do they print that for? I took a picture and enlarged it. Perfect! Who wudda thunk it? Great idea to pass it on! Gosh, I need to try this! I have gotten where I can't see much of anything up close. I didn't think it would happen to me and now I'm there. Hello Richella, what a smart lady you are! Now, why didn't I think of that? I do use my flashlight on my phone often! That's a brilliant idea Richella! I don't think I would have thought of that. No. I know I wouldn't have thought of that. Just shared it to the Harvest Lane Cottage Facebook page. Thank you so much for this wonderful tip! Brilliant!